Available homes includes a mix of “urban one-bedrooms” and one- and two-bedroom floor plans that range in size from 615 to 1,052 square feet. 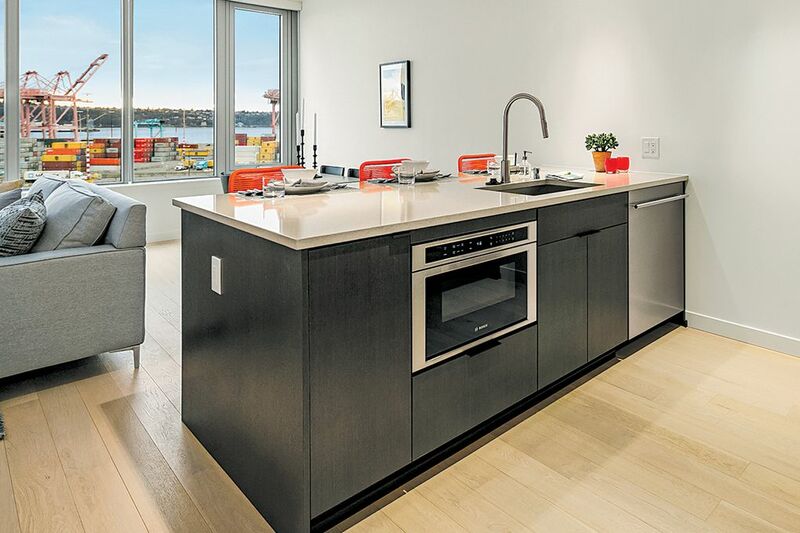 Gridiron Condominiums is celebrating the grand opening of its final selection of homes in Seattle's Pioneer Square. 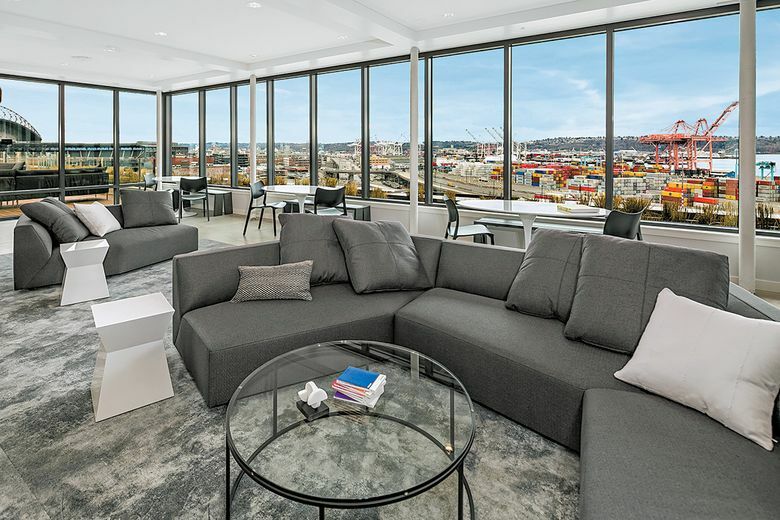 SEATTLE — With construction complete and residents moving in, Gridiron Condominiums is celebrating the grand opening of its final selection of homes. The community of 107 contemporary, glass-sheathed residences has been constructed from the ground up while carefully preserving the brick façade of the iconic Seattle Plumbing building in Pioneer Square, one of the city’s most-photographed historic buildings. Mehr says the final phase of completed homes includes a mix of “urban one-bedrooms” and one- and two-bedroom floor plans that range in size from 615 to 1,052 square feet. 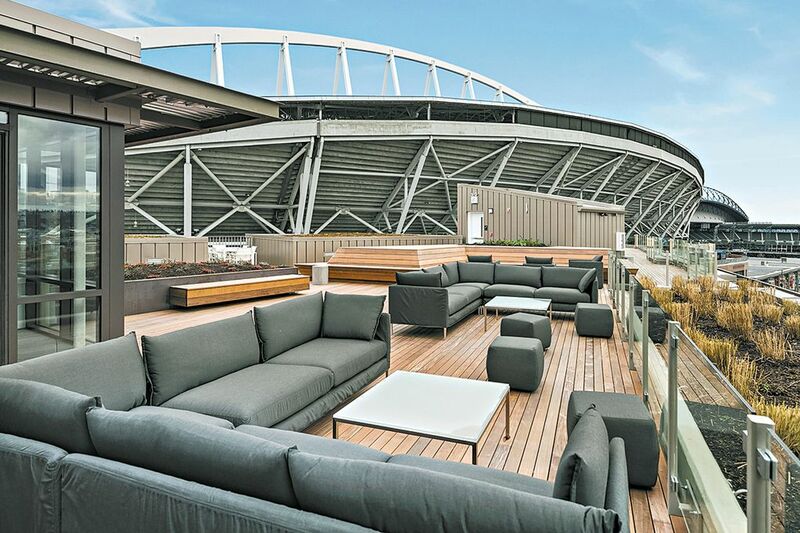 You can see all of Seattle, and even hear a Seahawks game, from the rooftop deck at Gridiron Condominiums. Seventy-five percent of the homes have been sold. The outdoor space includes a gas fire pit, conversation areas, gas grills and a dog run. The deck surrounds an indoor owner’s lounge with a wine-tasting area, kitchen, TV and fireplace. Other amenities include a fitness center, bike parking, parcel storage, dog washing and grooming area, and an elegant lobby with concierge. The building, including garage, is fully access-controlled. Gridiron home interiors feature high-end finishes and hard-surface flooring throughout, including slab quartz counters and gas cooktops. The building’s concrete and steel construction includes an energy-efficient heating and cooling system. Gridiron’s location across from CenturyLink Field earns it a WalkScore of 97 and transit rating of 100. The historic Pioneer Square neighborhood is active with nightlife, restaurants, new retail and cutting-edge creative companies. Gridiron residents enjoy a quick connection to Link light rail; bus routes in all directions; streetcar service to Capitol Hill; and nearby freeway access to Interstates 5 and 90.